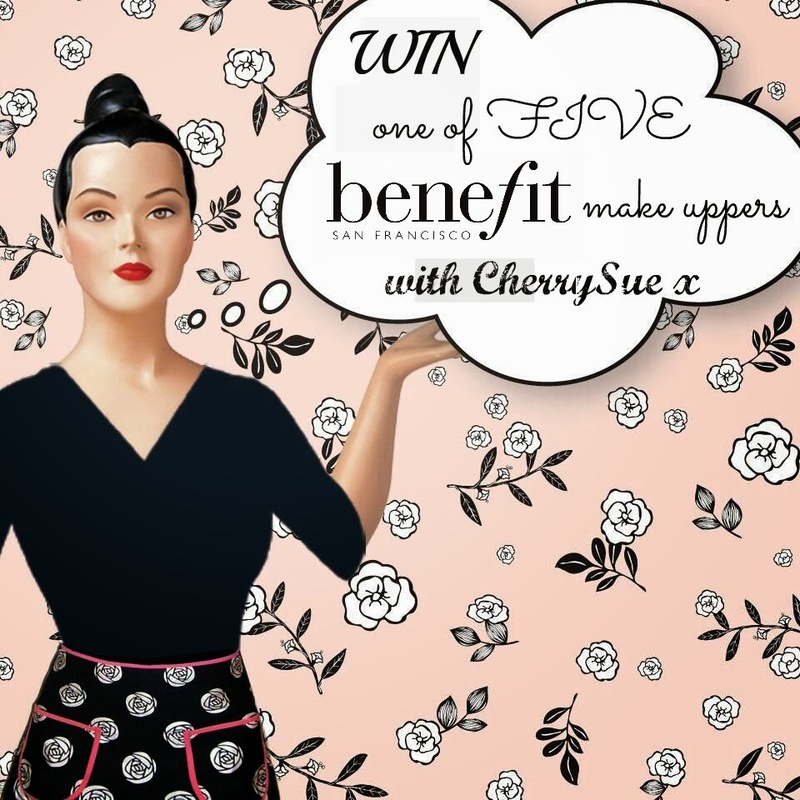 CherrySue, Doin' the Do: WIN One of FIVE Benefit Make Upper Makeovers in the Gorgeous South William St Boutique! WIN One of FIVE Benefit Make Upper Makeovers in the Gorgeous South William St Boutique! Another day another seriously good Giveaway to celebrate our new site. This time we're talking all things Benefit and FIVE of you lucky ducks will win the chance to visit the stunning South William St boutique and be treated like royalty with a Benefit Make Upper makeover! Because of the boutique location do please only enter if you can attend the Dublin address but don't allow scheduling to put you off as these are open ended invites so can be saved for a very special occasion or given as a very thoughtful gift. Winners, as with all #CherrySuesNewDo competitions, will be announced Dec 24th. May the Bene-odds be ever in your favour! Done! Such a lovely blog and a great giveaway! Done! i love the blog - esp the Jimmy Rustling! New website looks great too! Already signed up, loving the prizes Sue. Already signed up! Would love this! Already love getting your mails! All signed up and looking forward to updates! I've signed up. Thank you very much! Great prizes. Some happy winners on 24th. Done! Thank you for the opportunity!